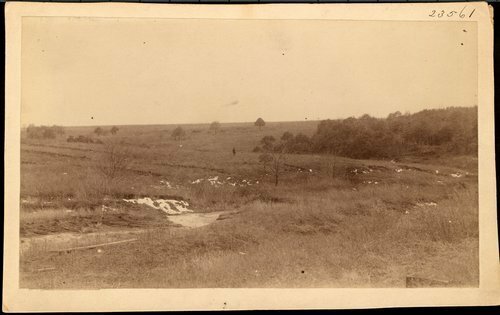 A photograph showing the Black Jack battleground located near Palmyra in Douglas County, Kansas. The battle took place on June 2, 1856 between free-state forces under Captain John Brown and pro-slavery forces led by Henry Clay Pate. Brown was victorious and took Pate and his men prisoners. A few hours later Colonel Sumner and his troops caused the release of the prisoners and ordered dispersal of both parties.